If you have ever been told, “you are too sensitive,” or “you need a thicker skin,” chances are you are a highly sensitive person. Those of us who are highly sensitive have heard these comments all our lives. It is very difficult to get a person who is not highly sensitive to understand what it is like to have our kind of experiences. It would be like asking an elephant what it is like to be a butterfly. That elephant could spend its long life studying butterflies, maybe even try to get in touch with his inner butterfly self. An elephant cannot stop ever being an elephant and a highly sensitive person (hsp) cannot stop being highly sensitive. Some people may view this innate ability as a weakness, because there is no therapy, exercise, or pill to fix it. There are some of us hs individuals who do not wish to “fix it” anyway. One reason being is that the non-highly sensitive person can benefit from our compassion. Compassion is just one of many wonderful traits the hsp possesses. Other benefits are creativity, intuition, right brain intellect, and strong multi-tasking abilities among so many others. A person not being able to understand the hsp doesn’t mean that they cannot learn how to treat us with kindness and love. The example set out by Jesus is proof. In my opinion Jesus was a hsp and he encouraged and inspired great love and compassion from others. Hsp make excellent healers, counselors, advisors, and leaders in part to our intuition and ability to read people. We pick up on the emotions of others very, very easily. Hsp have strong artistic, musical, and writing abilities. We have an appreciation for art, animals, and children. We can read people by their tone of voice, body language. We also feel deep, profound sense of justice and fairness, hence the reason why we make great leaders and authority figures. We have a keen attention to detail and fastidiousness. We have a strong connection to nature and the spiritual world. Many people who have psychic abilities are hs. We revel in peace, quiet, and calm and have the ability to get into deep meditation. Our relationships are usually deep, meaningful, and can last a very long time, because we are loyal people. When we fall in love we usually fall fast and hard. There is a flip side to being hs. We are easy to hurt and can become quite isolated and cynical. We are slow to heal from trauma and it is crucial for the hsp to be taught to appreciate and how to work with our sensitive natures. Since the publication of Dr. Aron’s book, The Highly Sensitive Person over 10 years ago, acceptance of the hsp has been gaining in the psychological community and in our culture. There are now educators, therapists, psychologists, and life coaches who specialize in working with hsp. More and more books are being written to help people who are highly sensitive. If you have a hs child, you owe it to them to educate yourself about this, especially the younger they are. It may even take a hsp to point out that a child is hs to a non-highly sensitive parent. It is also important for the hs child to appreciate their unique traits and learn how to keep themselves from being overwhelmed. 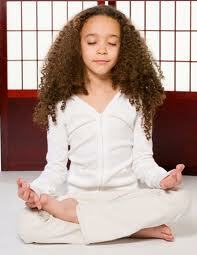 Children often do well with yoga and meditation. It is important to not label them as overly sensitive. There is no such thing as being overly sensitive. There is such a thing as a sensitive person being overwhelmed with too much stimuli, and unable to handle it. I remember as a child the noise and chaos of my 1st grade classroom. One particular day the high-pitched voices, overly bright lights, the heat of the classroom, the noise coming from a record player in the background became all too much. I needed a moment to put my head down in all this stimulation. So that’s what I did. I covered my arms over my head to block out the excessive stimuli. I see now that what I was trying to do was center myself, only of course being 6 years old, I did not have the vocabulary to explain my needs. My teacher Mrs. Johnson was worried I may be ill. She brought in another teacher to see about me. I couldn’t explain myself to them. But having these 2 large adults stand over me made me feel there was something wrong with me. None of the other children needed a break from the chaos like I did. I felt alone. It was the first time in my life I felt defected. Fortunately with Dr. Aron’s book, The Highly Sensitive Person these situations do not have to happen. I believe it should be a required read for every teacher. It’s taken many years for me to realize that being a highly sensitive person really, truly is a gift. By no means is it a defect. I was just surrounded by people who didn’t understand it. I love having insight into problems that others do not seem to have. I love having a perspective that others do not. I love hearing from people, “oh, I didn’t think of it that way.” Many, many times in my life I’ve been told I have a strong and unique insight. So despite the hurtful and confusing moments of my early years, I would not change being a hsp. I choose to see the pros over the cons. I’ve stopped apologizing for being sensitive. I’ve honed in on my gifts and am aware of how it benefits me and others. The world needs all sorts of people. We need the straight talking, tell it like it is sort. We need their tenacity and strength. People who don’t need to contemplate and deliberate, they get in and get the job done. Those are wonderful qualities. The world needs the sensitive types as well. We need insightful people who just seem to “know” things. People who bring forth great compassion and understanding. The world is complex and so are the people who are in it. Isn’t it extraordinary? There can be a multitude of descriptions and definitions of the highly sensitive person. It is agreed that the highly sensitive person, or hsp for short, experiences a deeper and higher level of sensitivity and have different nervous systems than those that are not highly sensitive. Incoming information is processed and reflected upon so deeply that we are more likely to become overwhelmed and over stimulated than those who experience a lesser degree of sensitivity. Ability to perform deep processing of information. Picks up on subtle details while in the learning process. Are not able to learn effectively when over aroused. Are known to be thoughtful, sentimental, and loyal. Are able to accomplish tasks with great accuracy, detail, and speed. Gets more affected by caffeine and other stimulants. Can stay still for a longer period of time than others. Has more right brain activity. Takes time to come out from the effect of some kind of stimulus. Can understand human emotions more deeply than others. Does not give their best while being watched. Tends to mix less with others. Does better work when the environment is relaxed, calm, and quiet. Prefers to feel and experience quietly by themselves. Are more loyal and hardworking than others. More in tune with nature and elemental forces. Notices subtleties in appearances, physical sensations, and placement of objects. Prefers to work and play quietly. Gets easily disturbed by noise. Reads the moods of others with great accuracy. So as you can see by this long list of information the perception of things are magnified; therefore, the feelings and emotions are stronger in a hsp. The hsp can strongly benefit from yoga, meditation, chanting, and/or deep breathing exercises. Because the hsp is prone to become over stimulated and stressed it is of the utmost importance that coping techniques be learned and applied. We are more sensitive to chemicals; therefore, a diet as free from chemicals, preservatives, and dyes should be sought. We are more inclined to sleep disturbances so leading a disciplined life of proper sleep and relaxation is crucial. Hsp are more open to negative fields. We absorb people’s negative energy and emotional toxins. We can feel a person’s psychic chaos very easily. Physical symptoms can show in us such as chronic colds, allergies, sinus troubles, headaches, sore throats, stomach upset, and breathing difficulties. On a positive note, we are just as open to a person’s positive field. Which is why it is imperative for us to surround ourselves with healthy, loving people. Children who are hs are particularly sensitive to energy fields and are strongly susceptible to the physical ailments. In our quest for peace, healing, and self-esteem finding forgiveness for ourselves is crucial. When we do not forgive ourselves the result is guilt, shame, and inadequacy. The benefits of forgiving others lifts the burdens we carry. Resentments, anger, and destructive behaviors are freed when we forgive our trespassers. We free ourselves from the prison bars we never should have been behind. Forgiveness allows us to soar out of the role of victim and be more of who we were meant to be. But what about self-forgiveness? Maybe you are caring onto a past mistake. It can be small or very big. When we carry regret that is a way we fail to forgive ourselves. Why are we so unwilling to forgive ourselves? We believe that we deserve happiness, peace, and acceptance, but somewhere back we started to believe that the rules and regulations of society defined who we are supposed to be. We stopped believing in our inherent worth. We stopped trusting ourselves. We received the message that, “we are not good enough”. Messages such as, “if you would only just”, or “you failed”, or “this isn’t good enough”, became such a never ending litany for us to abuse ourselves with guilt and shame. It is abuse when it is painful and damaging to our selves, and when we do it to ourselves it is just as scarring as when others do it. To these perceived offenses, we became judge and jury and found ourselves guilty. When parents, teachers, and other societal influencers are unable to love and accept themselves unconditionally this “learned attitude” is passed on as shame and guilt in attempt to control behavior. Shame and guilt are very different even though both are harmful and soul damaging. Guilt is about behavior. Shame is about being. Shame reaches down deeper in its pervasiveness. Children who grow up thinking they are “not good enough” become care givers and influencers for the next generation. I’m not blaming caregivers and parents, for this is how they were parented. True maturity can only be reached by forgiving our parents and care givers for being human, damaged humans at that. When we start to believe that we are worthy, that there are no mistakes we begin down the path to self-forgiveness. We must stop perceiving that the opportunities to learn as mistakes. So how do we forgive ourselves? There are many steps. Think of a certain situation in which you carry regret. Change your perception of it. Remember that our thoughts create behavior, and it is our perception that creates our interpretations. Accept yourself – perfection is non-existent anyway. When you make an error in judgement, always admit to it, apologize, and let it go. The lessons that have contributed to our growth and made us who we are need and deserve our appreciation. Think of how you would respond to someone who has made the same “mistakes”. Would you berate that person the way you’ve berated yourself? How would you respond if you learned that a loved one was treating themselves in the way you treat yourself? When we don’t love ourselves we tend to treat others harshly. When we don’t forgive ourselves we tend not to forgive others. It is a long and rough path to walk through life on. Ease up. Forgive yourself. Let go.